A great addition to any conference room, private office, reception area, or just about anywhere else additional storage and counter space is needed. This storage credenza features a 1" thick commercial grade work surface, two utility drawers, one file drawer, and multiple storage shelves. 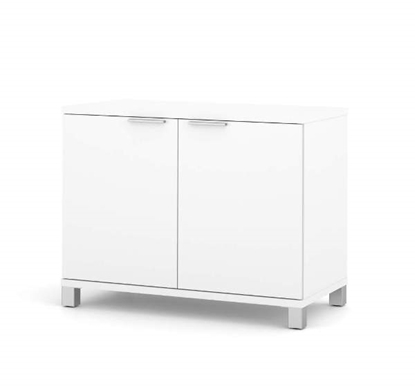 Dimensions: 71"W x 19.5"D x 28 3/8"
A great solution to any storage need, this storage cabinet can be used in any office setting ranging from wait rooms to private offices to conference rooms. This unit features a 1" thick top, metal legs, and a finished back.